You need to be aware that dogs aren’t just strict meat eaters. No, despite the fact that dogs are descended from carnivores, i.e. the wolf, they can manage an omnivorous diet just fine. And this means they’re well adapted to eating a whole variety of food types. That said, it is true that dogs do show a preference for a meat diet. But they’ve shown they can do well on a vegetarian diet too due to their ability to digest carbohydrates. A dog on a vegetarian diet still needs a protein source though. So make sure your dog has one in their regular diet. It’s important an adult dog gets a balanced diet of proteins and carbohydrates. And the older the adult dog, the more protein they may need. So I recommend you choose a meat based diet for your dog. Indeed, a quality dry dog food from a well-known manufacturer is the best option. Dogs need fiber to help their insides just like we humans do. Having said that, if your dog has too much fibre it can make their stools loose. So you need to take care they get just the right amount. Your dog will need about 4% fibre in their diet. When you buy dog food you need to be aware that the cheaper brands of dry dog food often contain more fibre. And while your dog’s body is getting used to the extra fibre, they may produce loose stools. And your dog may also lose some weight as a result of this. Another point to note is that dry dog foods based on potato and rice have less fibre than those based on bran, barley and corn. So if your dog struggles to digest dry food, these types of food are recommended. Your dog should always have access to clean, fresh water. All dogs need plenty of water, especially when the weather is warmer and also when they’re exercising. So make sure they’ve always got it. If your dog’s overweight then the obvious solution is to feed them less. The fastest way that your dog will lose weight is if you reduce their calorie intake. And at the same time increase the amount of exercise they get. You can buy low-calorie dry foods that don’t have as many carbohydrates. But the best way your dog is going to lose weight is if their diet’s high in protein as well as low in carbohydrates. So, give them meat for the protein plus kibble or bread. And until you dog loses weight you should feed them just once a day, in the late afternoon. You can give them a bone or biscuit in the mornings. 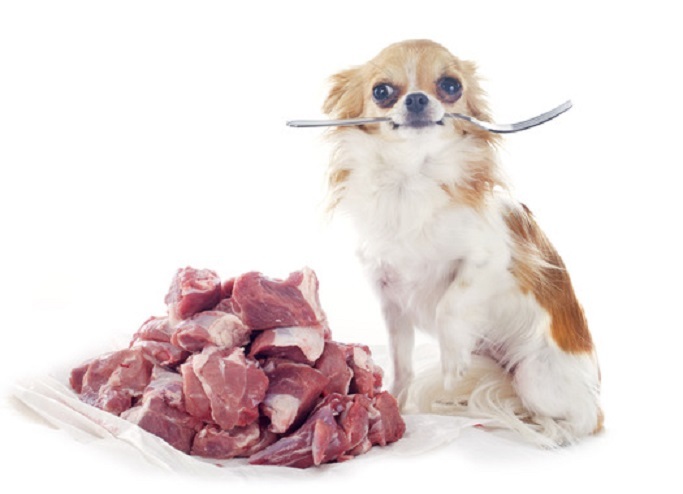 Although your dog can cope with a vegetarian diet, in my opinion a meat based diet is the best dog diet. Be careful of your dog getting too much fiber (and too little), and make sure they’ve always got access to fresh water.